If you're a big fun of rice burger from MOS Burger, a hamburger with its bun made from rice, you must love this new derivative. 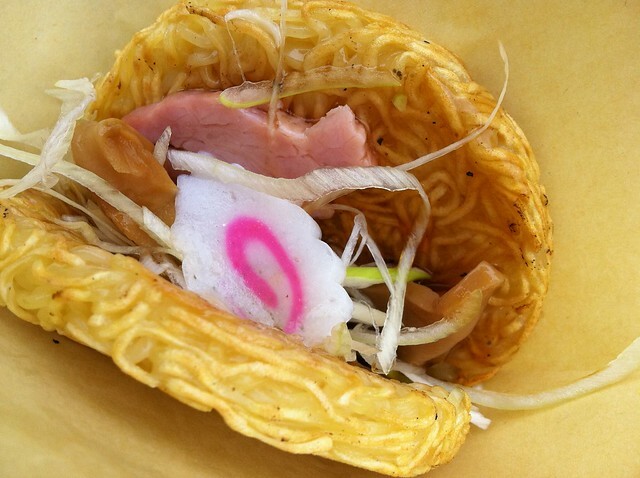 It's called ramen burger -- yes, its bun is made from ramen noodle. Just like conventional ramen stand, it comes with 3 different flavors -- soy source, miso, and tonkotsu (pork bone broth). What's in it? It's not hard to guess -- stuff you can find on a conventional ramen. Slices of pork, bamboo shoot, green onion, and naruto. 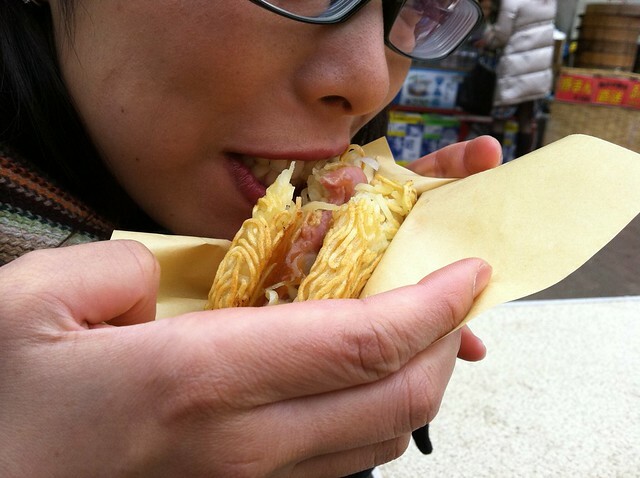 Ramen burger was originated from Kitakata in Fukushima, a town known for Kitakata ramen. The town invented this particular burger to boost the ramen and town's popularity. JPY500/piece. 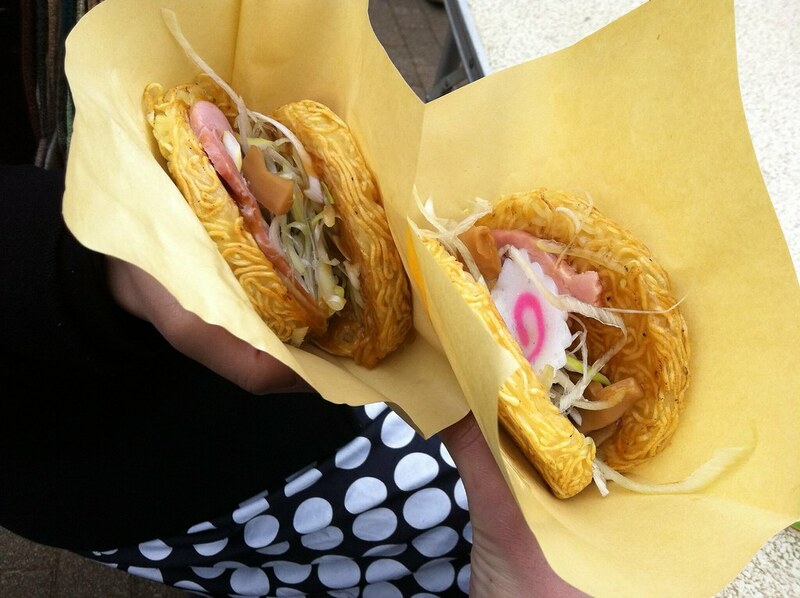 This particular ramen burger was purchased from a food stall, is located in Yoyogi Park.